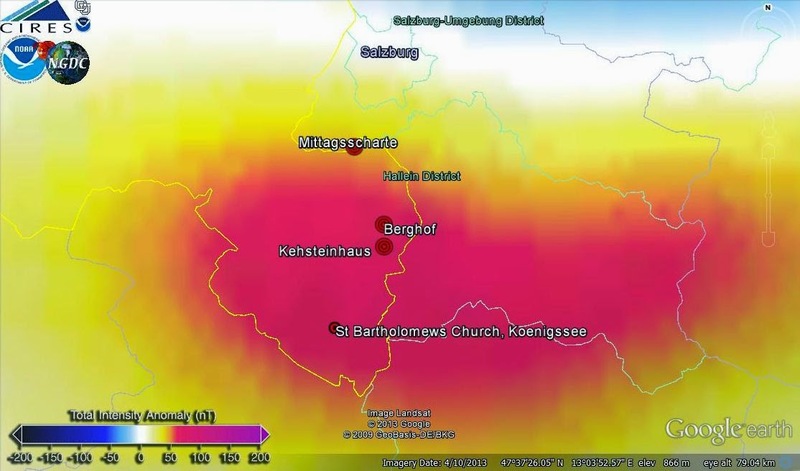 Untersberg is a mountain on German-Austrian border which is one of the key vortex points for the planetary liberation. Then in 1220, Goddess Isais (who is an aspect of Isis) appeared in front of a certain Templar knight named Hubertus Koch when he was traveling near Nineveh in Iraq, which is very close to the center of Hassuna-Samarra Goddess vortex. The Goddess has instructed him to build a Goddess temple near Untersberg and to move the Goddess vortex there, because Mongol invasion was approaching the Samarra vortex. She also gave him a piece of Cintamani, a stone from Sirius star system, to bring it to Untersberg. He then formed a Templar group called Lords of the black stone to become the guardians of the stone and keepers of the Goddess vortex. That stone was then given to Cathars, then to Templars in France, was briefly in possession of Adam Weishaupt, the founder of the Illuminati, was later in the hands of Edwar Bulwer-Lytton who wrote his famous novel The Coming Race, and then his son took it back to the Lords of the black stone in Vienna. Cintamani stone, the stone of the Holy Grail, is sometimes erroneously called the black stone, because it has a distinct violet-black color. 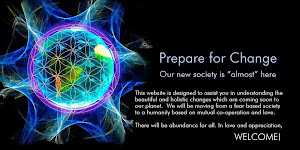 Its purpose is to dissolve the network of implants and help disintegrate the Veil. 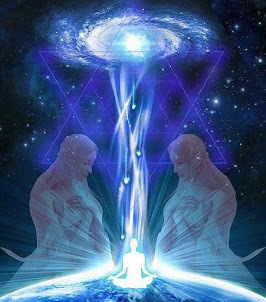 The Aldeabarans (a former faction of the Pleiadians) have yielded into cooperation with the Vril society in exchange for a promise that there will be no mass extermination of Jews by the Nazi regime. When the Nazis began the persecution of Jews, the Pleiadians have cut all ties with the Nazi regime somewhere around 1938. 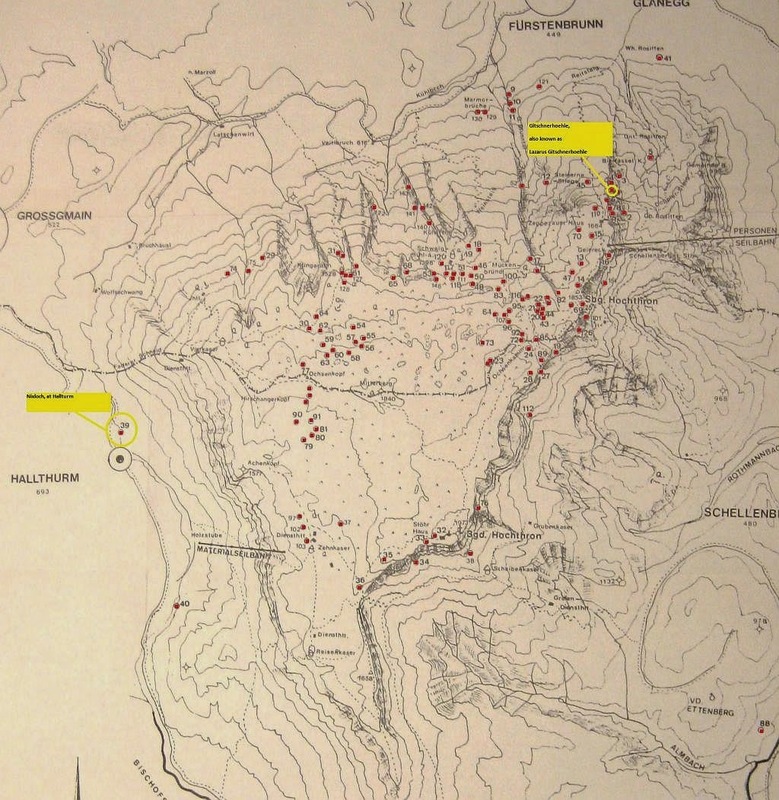 The Nazis made one of their main strongholds in the Berchtesgaden area near Untersberg because they wanted to take occult advantage of the Goddess vortex present there. Very recently, the presence of the Chimera group has been removed from the area. 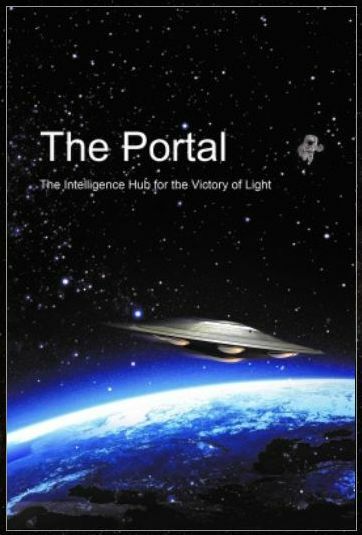 Now it is one of the most powerful Light spots on the planet, with many hidden entrances into the Resistance Movement and further portals into the Pleiadian star system. A piece of Cintamani stone has been returned to Untersberg. 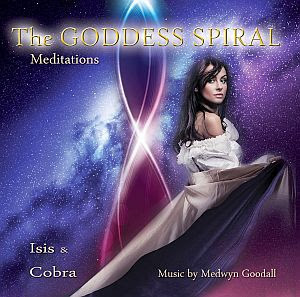 Goddess Isis is now harmonizing the energy of whole Europe through the Untersberg vortex. greeat intel ! thank you cobra and the RM ! Thank you Cobra and the RM for all that you have done so far. We as Humanity are Grateful. I knew that the mystery Central Europe stronghold was in Germany and had something to do with WWII. ! Glad to know this Intel and that the Light is winning. I would like to know if there were strongholds in South America or any possible intel about this continent I live in. Also, your readers need to be clear that removing the Chimera is a big step, but there are more obstacles before breakthrough. Maybe we could redouble efforts on Long island, everyone...! This information is definitely helpful I have been waiting for thisl. 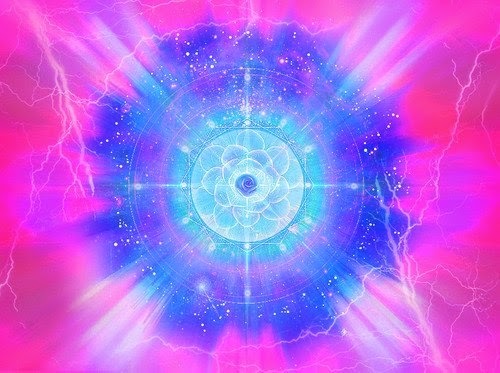 I feel so blessed to be here with all the light workers together on this amazing exciting journey! Best wishes to Cobra the RM and all light workers. Very interesting update. But I still don't understand what a goddess is. An angel? An archangel? A thoughtform? A collective consciousness? But, hey, if a goddess will help to get this planet liberated than I am all for the goddess! I would recommend exploring Almines work. I think its the book "Opening The Doors of Heaven" that pertains to Isis, uplifting. You see, a Goddess is a feminine energy that runs the universes everywhere. She is the creative force of everything living. She is the Creative energy. The Higher order of all energies. She is also known as Shakti in hinduism, the better half, a consort of Lord Shiva. Both are the masculine and the feminine energies, who balance the energies of all the universes. Because she is the all prevading energy, she is the highest form who can manifest into any form she wishes to! The lesser goddess are a part of her manifestation. She, who is Pure Consciousness. The Mother Goddess. When the feminine energy is supressed, there is anarchy and imbalance observed in the society and the planet. This is why the chimeras and other dark forces shunned feminine energy/goddess by labelling them witches and something to loath upon. And when the society came to believe in the falsified myth, creative forces started to diminish. The mother goddess is the most supreme energy. She who annihilates the demons with her ferocity, and is equally loving to creations that mean good. I hope my simplified explanation must have shed some light. PS. this is a time of goddess portal opening, up untill midway October. 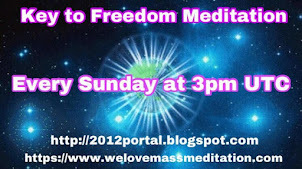 You may meditate and help the RM and goddess too ! Thank you for the wonderful Q again ! Keep on! Victory to the Light! I've been listening to the song 'Counting Stars' by One Republic and the message it conveys could be considered the 'song of the resistance'. We'll be, we'll be counting stars"
Wow.....Very Beautiful and Wondrous...........Great Info! thanks so much Cobra and all the Resistance and Galactics helping Mother Earth and her children! Someone asked about hot spots in South America, and when you mentioned the magnetic anomaly, it made me very curious, because I live in the central part of Brasil and recently some researchers here set up a Nikola Tesla Institute here, and they mentioned that this central part is one of the best places on the planet to build the Tower of Power becaus there is a strong eletro-magnetic anomaly right over our heads! Maybe we should do a Cobra conference there? Youcan count on me to help set it up! Anyway, we've been sending a lot of loving energy to help heal Long Island, let us know what else we can do to bring in the final Victory of the Light! May the Force be with us, peace and Love! Chapada dos Veadeiros is breathtaking. Thank you!!!! your welcome! Mother Earth is incredible! I'm curious if anyone has more info on "The Aldeabarans (a former faction of the Pleiadians)". Why does Cobra say "former"? I feel some connection to that name, Aldebaran, but I don't really know much about them. I've heard they're the more military faction of the Pleiadians, and are more in favor of taking action than others of the race. "I am no master I know nothing. I am a servant and I know something. Awaken your water within, the time is now." We are a danger to darkness, you better run quickly. Thank you Cobra for the update. 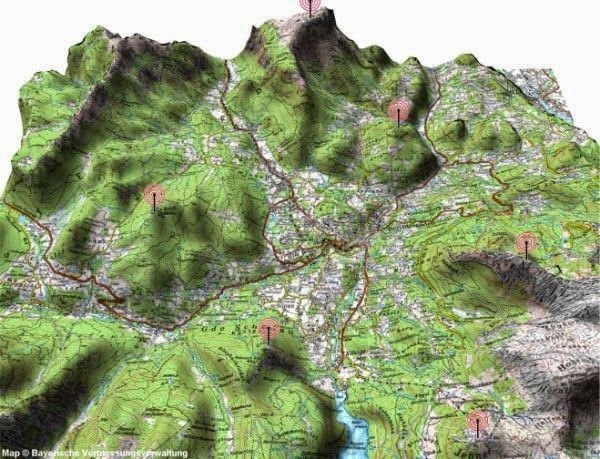 Ah, so Untersberg was the European secret location of the Chimera! I pray the Long Island stronghold is the last one!! "What I am being told is that Isis is pure energy of love and femininity. She is a representation of everything that is feminine, tranquil and yet powerful. Immensely Powerful. She is not simply a being, she is a gregarious being of light. Pure energy is what she truly is, and yet as an energy being she is able to transform and take form of various people in order to get the job done. She is the representation of our feminine side, regardless of weather you are a man or a woman. A part of her is in you and a part of you is in her. Every single being on earth and beyond has a particle of her in them, and she has a particle of them in her. She is the MOTHER GOD, the MOTHER SOURCE so to speak of ALL that there is. She is the feminine representation of the SOURCE." Thanks Cobra RM Thank you VICTORY OF THE LIGHT!!! Thank you Cobra for the update and you continued commitment to the liberation of humanity. We all owe you, the RM and all the light workers a debt of gratitude. I realize that there are those who are impatient and who aren't seeing any improvements in their lives. However, I believe that the rewards of complete liberation and regaining full conscious again are well worth the continued wait and all the positive energy that we can send to the RM and light workers as they continue with their dangerous mission in New Your. Such Beauty ! Thank You Cobra and Light Forces ! This is my kind of class room. Dear brother, It is so rare to get intel about the goddess in these difficult times. Thank you, thank you, thank you and please continue posting more about her. It seems that whatever you focus on will gain power over your mind. If you are not spiritually strong enough, it may be better to focus on places like Untersberg. The rare few who can deal effectively with negativity may feel inclined to focus on Long island. Anyway it is a personal decision. Go with what you feel is right in every session (which may change from session to session). If Untersberg is fully purified (as Cobra as reported) then make good use of it's powerful healing goddess energies of love to purify the negativity within you and leave Long Island and the negative-enough-to-spoil-your-mood Chimera group to the Light forces. Hola Great Spirit Bear ! http://2012portal.blogspot.com/2012_04_20_archive.html displays a month's worth of posts from 20th April, 2012.
http://2012portal.blogspot.com/2012_11_07_archive.html displays a month's worth of posts from 7th November, 2012. Type any date you want while maintaining the syntax of the rest of the address and you can see a month's worth of posts from that date. http://2012portal.blogspot.com/2013/09 for all posts in September, 2013.
http://2012portal.blogspot.com/2012/12 for all posts in December, 2012. Thank you for this excellent update, and I want to check the time sequence about Vril Society . You are so welcomed to correct my viewpoint if anything is missed. Victory is NOW! Liberation is NOW! giant 3d printers (contour crafting). This is truly amazing. Thank you for sharing! So there are TWO "black stones", the bad-guy's one on Long Island that's a top-quark condensate from Rigel and the good-guy's one that is a Cintamani from Sirius? Very positive information. I cannot wait to hear the next update on the Chimera situation and the status of their last base at Montauk. Montauk is interesting because there has been A LOT of detailed information published about it. There are multiple interviews about it on youtube. Google Duncan Cameron, Al Bielik and Preston Nichols. Here's a link to The Dulce Book, 34 independent chapters, which was published back in 1996, when things were very different about a subject that is supposed to be "the secret history"…well.. The WW2 never really ended, it went underground, a break-away-civilization relocated to Antarctica, South America and North America, to be ruled by the Secret Shadow Government (SSG), they set laws for us too but themselves follow a different set of rules, they realized that human minds cannot be controlled any longer through religions and wars...the Internet was going to change everything, nothing would remain a secret! They needed more advanced technologies that the invaders had…so they traded humans and cattle for psychotronic weapons… to be used against humans, the cattle. The NWO of the Fourth Reich that never came to be…they tried, and went too far. can we have news about the changes noticed there? I always heard that the black stone originally came from the goddess Cybele. Alternatively she is called the Kubeleyan Mother. From the this name we get the word cube and from cube comes the word cabal. There is a depiction of the stone that can be seen on a 7000 year old ceramic plate from the Halaf region on boarder of Iraq and Syria. Some people may have seen this image before when they meditate. This plate has magical properties and even just looking at it can change your world view. This plate predates all written language but it pictorially tells the history of the entire planet. On the outermost rim of the plate exists a ring of light colored energy swirls and squiggles ~~~ followed by a ring of darkness. This represents the first age of Earth the time of Lemuria and its' subsequent destruction by the darkness. Concentrically inward there is second ring of energy swirls followed by another ring of darkness. This represents the second age of Earth the time of Atlantis and its' destruction as well by the darkness. The basin of the dish represents the current time of chaos. The previous two ages were in harmony with light and dark separated in their distinct rings. In the basin of the plate the light and dark lines bend and struggle against each other. This is because light and darkness are in conflict with each other. Notice at the center of the plate is an Iron Cross separating 4 vortexes. This represents the future and a golden time that has not yet come to pass. When the 4 vortexes meet together they form a singularity and that is when the event occurs. When there is no more darkness between the 4 vortexes the light wins. The story on the Halaf plate is a the story of light conquering the dark. If you see this image in a meditation or while dreaming try to focus on making the 4 vortexes come together. If they come together we win. That is the end game. That IS the event. Their goin down. I,m yellin Timber. As my little entourage of other siders pleadian (Edward) and dark Nordic (Adam) would say You are the winner. Positive reinforcement is a wonderful thing. You all are going to love telepathy. Better than a new I bs phone. Can't wait to go to next level full conscouisness.. Sitting on n pins and needles till then. Meditate everyone it helps the RM. love you RM and Cobra. Stay safe.... Victory to the light. Thank you for this fascinating update. I enjoyed learning of the history, and especially appreciate the photos, especially at the first link. At times, part of me wants to go back to taking life at face value, believing that life is simply as it seems, as most people do. But I know, and have always felt, there is much more to life than meets the eye, even if no one around me agrees. Thus, I have always felt like a stranger in a strange land, and as much as I love this beautiful planet, I have always felt a longing when looking at the stars. Me too PB. I always felt like a stranger here and always feeling there was more that we couldn't see hear and feel. Why don't people wake up!!! Anyway, great work Cobra, and info ref the Central European outpost. I really hope Long Island falls soon. I want to go and help !!! is anything being done to stop the dolphin slaughter japan? Nothing was done and they are killing the whales now as well in the name of scientific research - their bloodly stomach urge for the meat instead. Gracias COBRA.. por informar...solo queda el grupo quimera..en long island....o estan en otros lugares.....???? how would you convince the Majority/90% of humans/people on the planet about the *real* existence of such things like Agartha, etc etc ? You'd show the actual place to them. What is that you are going after for? What is the purpose to convince this 90% for the existence of something? I've noticed it's nearly imbossible (without few exceptions, and even with them it takes years) even if you show real tangible evidence (and I'm talking about 1+1=2 facts here). They just merge back with their old lives almost instantly. That's why I'm pretty sure we have to wait to the point they can see the actual Agartha itself so no need to try something that's futile in the first place. The Orion-programming is just ridiculously strong. Gotta love them for that. "Oh, I think these are all costums!". "Where do you get these deformed humans?" "I bet these must be part of a movie play?!" "No, they are the Chinese Lanterns!" "Silly people, these are my mother pancakes!" "That does not look like aliens they look like humans..."
"Ok this is what your watching : a guy getting on and off of some circus sticks." "This could be either a basketball player or some guy on skills﻿"
And on and on and on, their ignorance is way beyond words already. The reason why there is no first contact - is us the human and not the star beings - we are the hostile kind. We tends to kill or remove any unknown - coz we fear the unknown. Like the Brazil incidence some years ago, it was proven so. So, the first thing we have to do is to try to bring them some articles and movies (Hollywood done a good job to create more fear with the Alien) to ease their fears. When the time comes, the argathans will just show up and introduce themselves. We'll also be able to go down there to visit. Don't ever try to talk to the average person about stuff like et races or the cabal (unless you feel they might be open to it) some people are way too deeply programmed. Stick to the financial system and the poisons in the water/food/vaccines. 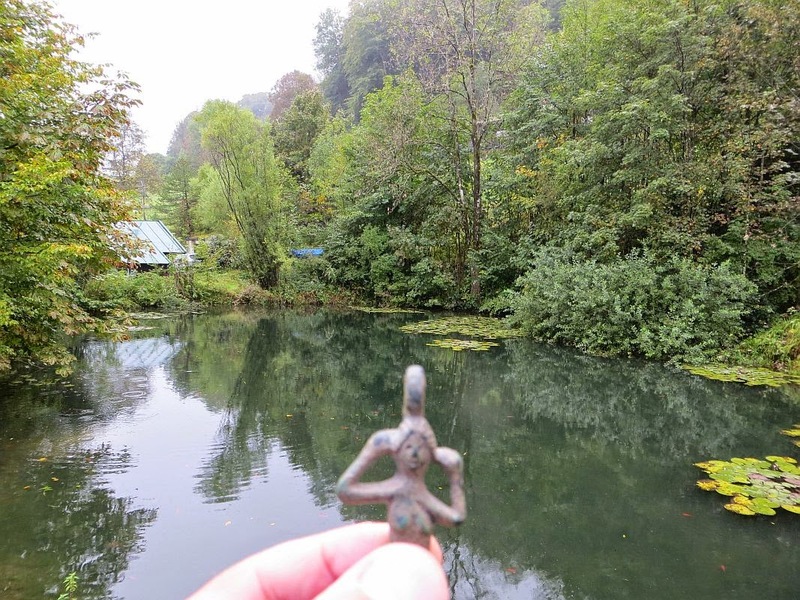 Do you know Billy Meier? All I can say is that in my opinion he's an honest person. Niki, I say this with love: The definition of Insanity is doing the same thing over and over again expecting a different result. That's what I see you doing every time you post the same question here over and over again. There's no easy answer. We're not going to be able to prove the existence of ET's and Agartha and the like to the general population until after The Event. Yes, I know how powerless it makes you feel. I feel the same way. It's driving me crazy. (There's a joke in there somewhere.) I want to do more than just meditate too, but my intuition is telling me that's where I need to start. I'd suggest finding time to meditate with the intent of contacting your higher self/spirit guides/ET's/Whoever or whatever you feel comfortable with. Keep at it and insight will come. By the way, I'm telling myself to do this at the same time I'm telling you. That's the most concrete answer any of us are going to get until The Event happens or we're lucky enough to be contacted directly by a member of the Resistance Movement. The most powerful tool the cabal has is the mainstream media. Most people believe whatever the TV tells them. It is irrational and not logical to believe that life on this planet is the only life in the universe. My advice to you is that you are awakening dear one. You are sensing the call and you were drawn here by spirit. Seek those answers and you shall find. When the student is ready the teacher will come. Hi Niki, it isn't the job of Cobra to convince anyone of anything. He is just giving information in order to help us humans make sense of this crazy world. Don't we deserve some true information?? Now, how others handle this information isn't his problem. If they can't cope, go to another website! He is just trying to inform and help people. Because of the controversial nature of the information, some may think he is a disinfo agent. But, personally, I have never seen any evidence of that nor felt any evidence of that. To me, he is 100% legit. Disinfo agents are SO obvious and SO stupid! You can always tell a disinfo agent because they always try to cause trouble. Anyone working for human and world harmony is not a disinfo agent. But, Niki, really, these posts are starting to become like a broken record. You bore me already unless you have something new to say. Excellent! The comments on here are so useful , always some good info added to expand on the good stuff Cobra gives. Thank you Cobra, and Ayelet, and all! Anyone know more about this: "The Aldeabarans (a former faction of the Pleiadians)". What does Cobra mean by "former faction"? Are they no longer Pleiadians? Beloved Jenessa, I answered your question but it was not posted (no verification catcha code was shown). The Aldebarans was a rogue faction of the Pleiadian, aided the German 3rd Reich during the 2nd world war, giving them technologies and information. The Foo fighter and U-Boat are one of them. But didn't expected to be betrayed by the German when they were promised there will be no mass Jew murders (But it did). And the Pleiadian do not want to have anything to do with this rogue group. So, they cut the tied with them (unfortunately they are the same decendant from the Lyra system - just like us - all human too). In the past ancient history, there are always human who do not align with their own kind and joined the Anchara Alliance (Reptilian Alliance or Empire). It is vice-versa for some Reptilian to join the Galactic Federation of Light too. And there is no winner till now, all just playing this Divine game (view from higher perspective). And The Aldebaran has their own galaxies at Taurus now. Remember this - we are also from many star system too but many forgot with this Earth's veil. Can you shed any truth to global warming ? Or is it more of a political tool than a reality? The earth is actually cooling down, not warming up. Actually, anything that the cabal tries to push down people's throat's is BS, it needs little discernment. This is just my view on the matter. Global Warming is just another fear and money tactic. "Reducing your carbon footprint" is being sold as the magical cure-all for pollution when in fact it does nothing and there are many, many other *real* kinds of pollution that are being completely ignored. Yes, the planet is heating up at this time, but it's because the planet goes through cycles, and it's currently recovering from a Mini Ice Age. Google "The Year without a Summer" and look for information about what Greenland's climate was like 400 years ago and you'll get the picture. Thanks for the quick responses, this is along the lines of my beliefs, but I have been standing alone against everyone it feels like in this debate. But I will never give up, thanks for the support. news today about US attorney General Eric Holder resign ? hello that's a clear sign to me that someone or somebody is clearing the house .note to Maria Faria sabes si Cobra habla espanol ,thanks . You Have To Feel And Experience Things..
Its The Difference Between The Machine.. The Aldeabarans got mixed up with all this. Even Hitler himself was devoted to the two medium women, one for the Vril, one for the Thule Societies. Both extraordinary clairvoyants. So this is why you see positive symbols and beliefs, confused and used for darkness. This explains so much of the dynamic of the movement in Germany. Very Good Cobra…well done. This post came close to 'home', as an ARMY brat I/we took a vacation in Garmisch-Partenkirchen, Germany back in the late 60's. I had to find my way back to the hotel on foot, which I did for the first time ever being on the streets of Garmisch-Partenkirchen. I did a Google Map comparison to the first jpeg posted on this blog post. I stumbled upon some underground tunnels in the city where we lived in Bad Nauheim under a sanatorium that was condemned except the basement and the ground and first floor of a 9 or 10 story building used for army brats. I asked later where those tunnels went, since there was a heavy bar gate that closed the tunnel off pretty far back, and the tunnel kept going past a bend. And there was a light coming from somewhere? The director of the youth association was shocked that I was down there and told me "NOBODY goes down there!!" "You stay out of there...!!!" The city of Bad Nauheim had natural hot springs all under it and there was even an under ground tour from the bahnnhoff under the streets and out in the middle of town coming out under fountains of the natural hot springs. This Just In: Russian Intelligence Makes HUGE 9/11 Data Dump, Key Perpetrators Named. Thank you for such interesting information and thank you to the RM for this major breakthrough!! WOW. 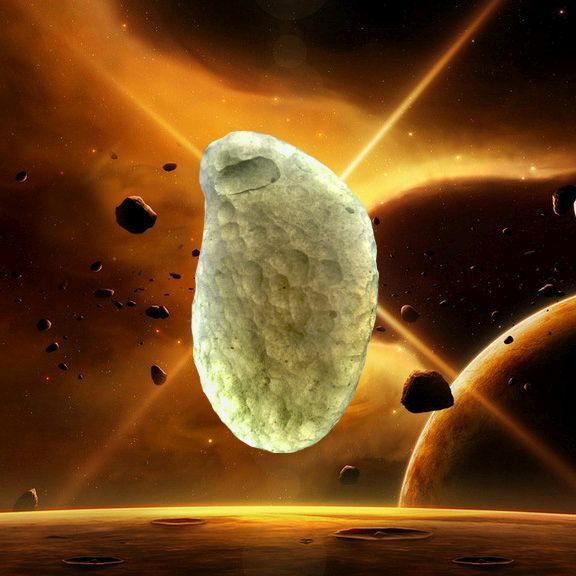 @pleabe thanks for the interesting post.. you sound like you actually know Pleiadians? Wow..Okay! Thank you. @Kate, thank you for the very nice further explanation of Goddess Isis. I think I have been looking my whole life to find confirmation that goddess energy is a good thing. One doesn't get much support for goddess energy, love energy, or the creative-intuitive mind ("right-brained thinking" it could be called) in our culture. negative for so long has now turned into wonderful love energy! both Germany and France away from participating in this latest US bombing raid on Syria? And then there is the resignation today of Eric Holder, the US attorney general... which is "quite interesting." 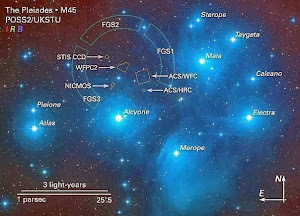 Aldeabarans which 'used to be' part of the Pleiadians? 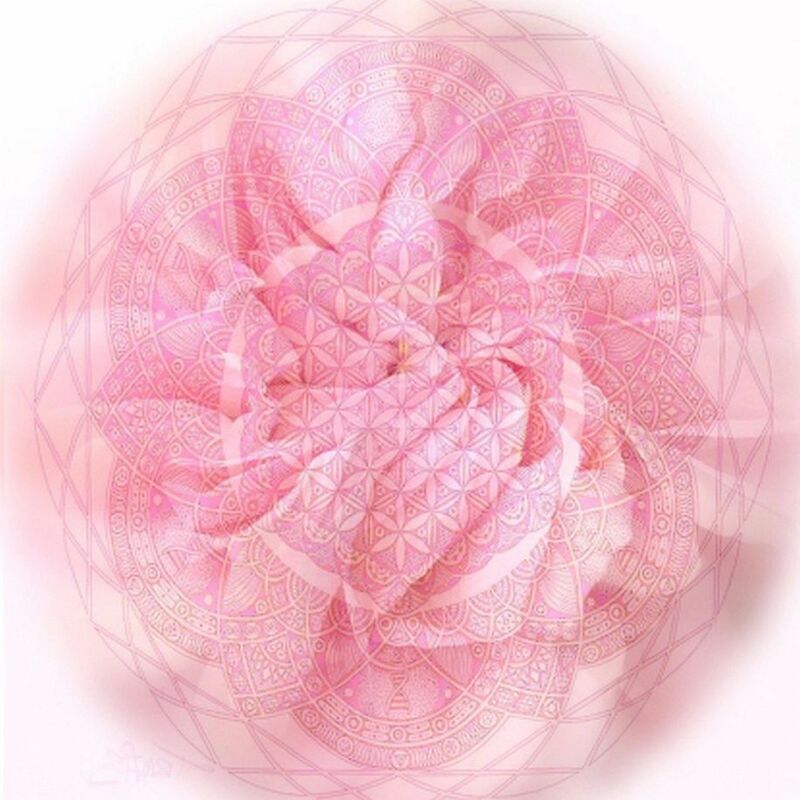 meditation.......These days, especially to Long Island....I blanket all the globe and especially Long Island in pink love energy.... Love is the strongest force in the universe.... Mahalo and Aloha. Cobra. I believe you mentioned there was something about one of the black nobility families that everyone would find shocking and would be revealed after the event. Is this it? Thanks WestCoastUSMegan for your recognition…It's a very important subject that no one is supposed to know about, never mind talk about but, many would like to if they could, because this happened, It's our history now, how could it be denied? Just look around, there's a clear pattern that equals looney-bin. I came across this particular book only couple of weeks ago, it's not an easy-read but everyone who wants to know should be able to, problems this astronomically massive can't be held a secret from the public forever, we can correct everything by knowing the truth, and not repeat history, it concerns 'everyone' on some fundamental level. I still haven't read it all, only here and there. But, if I had read this just about a year ago I might be on permanent trip to Mars (lol a joke). If it starts causing a head-trip…stop, get up, walk around, go outside and be grateful for living nature around, listen to non-aggressive music, dance, talk to someone about nothing that brings you back, think about a specific time when you were very happy with your loved one, remember you are loved, REMEMEBER this, and snap out of it, stay in the now…too much focus on the past can cause depression, and too much focus in the future can cause anxiety. The balance is in the now. it's in your every breathe, in every thought of how to make it right, imagination is a tool for expansion of consciousness. Learning is not about suffering and dying, that's what the lords of karma said and lied "if you don't go back all your loved ones are going to perish forever. Now what's it gonna be?" Laugh at them, now you know it was a lie, we don't need no "book of the dead", you know inside - yell I AM FREE! We are infinite energy, immortal badasses! Share LOVE but only the PURE kind, from your HEART. I loved the new interview, thanks Cobra and Robert Potter! PEACE OUT GUYS! Have a wonderful Day in the Sun! White Dragons are known to exist, and in fact are known to be the higher class (or Cast) in the Reptilians stiff hirarchy & Society. May I remind you that we are still under the last vestiges and slavery days under Reptilian occupation - which lasted 25,000 years. So it is a bit of a concern - I think - when someone who is claiming to fight the Dark Forces, which have enslaved humanity - is calling themselves a "White Dragon" - and is regarded by "Cobra" as a friend, who is on the side of goodness, wisdom, mercy and love, not to mention - the side which fights evil. Good to know, that the western people, seekers don't need to run to the East to be awaken! including the Grail with the Cathar Pure Ones ("Bonhommes", "Good People") and other inner-christian tradition. Dharma Dogma, used in Hungary, ancient legends speak of shamans, who always helped our ancestors. The very fact gave their opinions. Since knowledge is possessed. Government nets have been crashed. We can see the story line, now let's change the ending. Chimera-controlled Haushofer was the main occult force behind Nazi Germany. Karl Haushofer became Hitler's mentor. Haushofer had made several trips to India and was well versed in eastern occultism. He also lived in Japan for a time where he was initiated into an esoteric Buddhist sect called the "Green Dragon." Through these contacts a colony of Tibetan lamas settled in Berlin, and when the Russians took the city in 1945, they found a thousand Tibetan corpses in German uniforms. Haushofer, more than any other, challenged Hitler with the vision of world conquest. In 1997, Peter Moon wrote 'The Black Sun: Montauk's Nazi-Tibetan Connection' in which he refers to the 'Signet of the Black Sun' (a secret order in Germany, also referred to as the 'Order of the Black Sun') and that it is "the symbol of the innermost secret society of Nazi Germany: the Black Sun. It is illegal to print or display this symbol in Germany today." This image and information was, according to Moon, originally provided to him by van Helsing around 1996, along with additional information on Nazi flying discs. Moon alleges that Helsing allegedly got it from Templar groups who emerged from East Germany after the Berlin Wall fell and Germany reunited. Van Helsing mentioned the Black Sun just in a few phrases. But, from what Moon states, van Helsing could be talking about Ralf Ettl and his Tempelhofgesellschaft (Temple Society) in Vienna, identified as a secret successor to the historic Templars. That is too bad about the Dalai Lama. I hadn't heard that about him. is it true that to help disintegrate the Veil are two stones needed? One for female (Cintamani / violet) and one for male (looking like a berg crystal)? Who are the female and the male, Karin? So we have the (female) Cintamani stone. Do we have the male stone? if the female is the Holy Grail, than the male would be Excalibur? is Garil, the white stone of the Holy Grail the other stone needed? My Mom just told me today on the phone that when they say on the tv we have peace and other then that is when everything is going to go down hill for us all bad! Then she told me my kids along with every one else will not be saved ..that she and rest of the Jehovah's Witness are the ones and they have nothing to worry about there backs are covered from anything bad that going to happen to us .....Why is is that what Cobra says about peace is good n all but runs into same saying of what the GOV is talking about of peace plus what the Jehovah's Witness are saying :| I am kinda confused ....Cause we know the peace our gov wants is not peace its NWO Some inlighten me please ??? Divine Creator's love extends to everyone, he/her kingdom is always open to everyone, not just one religion group but everyone. 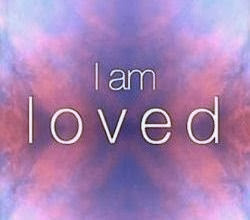 This is what truth Divine's love is all about. Judith, The Prime Creator does not discriminate depending on what religion someone follows, as Religion is an archon based belief system. Divine Love is for ALL. Judith after reading your comment I feel there is a correlation to Cobra's update about the Thule, Vril and the Natzi organizations and your mother's statements. (Not saying they are the same just a correlation to this type of thinking). The only difference is substituting religion for the occult. In my opinion any institution that teaches one race, group or organization is better or chosen to be saved and others are not if they dont believe their doctrine is based on fear not love. 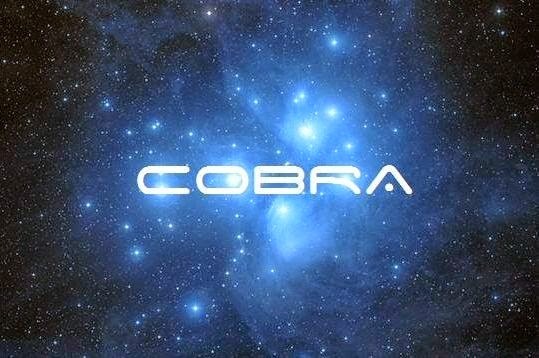 Cobra has said many times the Event did not happen earlier because there would have been more destruction and loss of life. Most of what is said on TV is filtered and only a small fraction of the truth is being spoon fed to us. The same thing with the government. We have been a great melting pot from the beginning with different star nations adding to that pot. This is what is unique about our planet, What a glorious place to be! "Tap me out, and tap me into you. Heal my brain and my body too. Balance my chemistry, hydrate these cells. Cause' the body talks, and meditation helps." I have had a blue orb/energy expierence , very real in the physical that literally transformed "me". The color of the blue "energy field" above the hand holding the stone in the picture in your post brought me right back there. The color is spot on. Is it possible to put to words what that particular color and form of manifestation is? There is a lot I could say about much of this topic, unfortunately some of it could possibly get my 3D Lars into legal trouble in the US-occupied Germany. Arghhhh, now you made me curious. Cobra is obviously hinting something by saying "which may or may not be very soon". Chimera can also see this message, if cobra said it's very soon, they will know their death is coming soon and do bad things. Cobra could have been just saying "when the time is right'. All this means the Event will be a total surprise since Chimera is the last obstacle. Something huge just fell out the sky north west of england. Saw it burn up in split seconds. Around 5am GMT. Hi Cobra, will the date and timing of the event be declared officially on this website before it will actually be triggered? There are also info here! Thank you Kate, :) Your timely posts help us slowpokes keep on top of the situation. Shout to @Rob Potter : Great job on the interview but putting all the transcripts on one single page is going to cause a severe memory overflow for many users soon. Please split them up. We really need to know more about Source ... a series of blogs preferably ... This subject cannot be answered briefly in a monthly interview. ET technology, millions ... even billions of years older than current Earth technology ... has hit the limit when it comes to dealing with top quarks. They supposedly know what they are doing and should eventually deal with it but the clock is ticking and the ground crew is expecting a Bruce Willis type cut-the-wire solution. The main question is what exactly is Source's problem here, specifically It's limitations in personally dealing with something as insignificant as top quarks and why It has outSourced ( pun not intended ) this task to the GFL. You said that Source's power is limited in this sector of creation. But aeons have passed and Source should be on top of the anomaly situation by now instead of relying on the GFL & AMs. Thanks Cobra for our world history update...It's intriguing and stranger than a Sci-Fi movie but I look forward to learning more & more of our true history to try to understand why we are where we are today...The most important factor is the Light wins in the end with a lot of effort from many parts: We earthlings, Star Fleets, RM, & Galactic Federation of Light & yourself who are supporting our path to Victory....Thanks with love & kindness & lots of sunshine! http://www.thegoldebriars.com/Global%20Meditation/index.htm It's in 6 languages & we welcome more translations & comments.....Eliana has been a leader & force with Facebook and linking this page up to the Smaly7 video and translations...Thanks Eliana! We march strongly toward the Victory of Light! So The Da Vinci Code and Angels & Demons movie starring the Holy Grail, is nothing more than the Black Stone ? Update: The cube has been removed and broken into pieces.. There were letters and numbers on all six sides. Won't it be great when the Georgia Guidestones are removed too? Victory of the light! Good news....had to raise an eyebrow when "2014" cornerstone was placed. Thank you for the update! The comments are interesting too. They must have been doing a great job to clear the Untersberg area and restore the light and love there. Next time I am at the beach, I will write in the wet sand, in huge letters, so they can see it from up there: THANK YOU GODDESSES and GENTLEMEN. "Don't use your army . . . to fight a losing battle"
C'Mon Kid, just let it go. You're gonna have to one way or the other anyway. Please choose the Path Of Love And Unity. So We can recognize them by their limp"
And YES! I realize the irony as sometimes I have to limp myself 'cause I've got a small piece of glass stuck in my foot that I can't get out. It is what it is. Dang typo. Don't know who Kal-L is,and sorry for bugging you. I mean Kal-El M of course, that no-good little rascal of a destroyer. Hello Kan, I've just seen the protests on television here. My prayers go out to all people around the world inc Hong Kong who are sick of this way of life. Light and love to all. Hello Kan- perhaps you could go and stand shoulder to shoulder with with your fellow humans? You Are Talking About White Dragons..And The Name Cobra..?